Holiday season is upon us. Environmental Health reminds staff to be thoughtful in preparing holiday meals. Always wash hands with warm water and soap for 20 seconds before and after handling any foods. 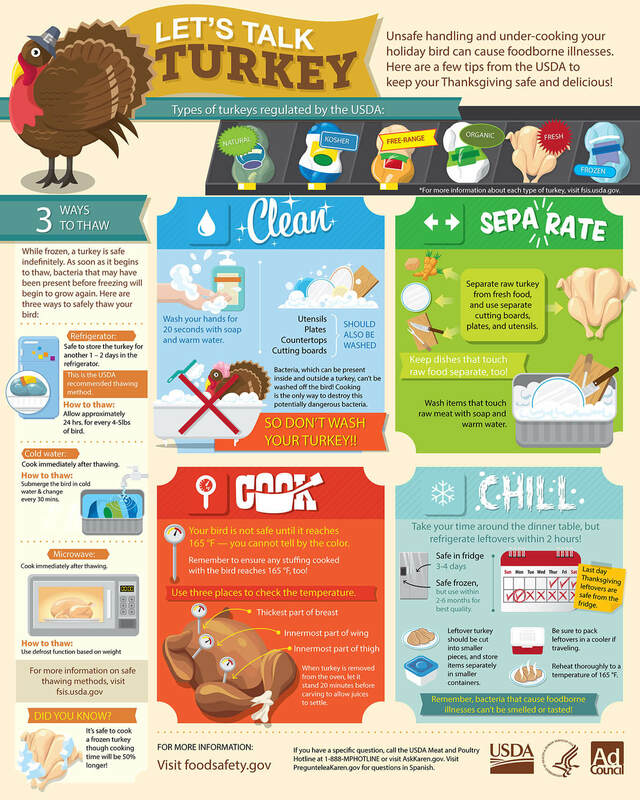 Never defrost turkey or other foods on the counter! The refrigerator method is the safest and will result in the best finished product. Leave the bird in the original packaging and place in a shallow pan and allow refrigerator thawing time at a rate of 4 to 5 pounds per 24 hours. A 15-pound frozen bird will take 3 to 4 full days to thaw in the refrigerator. Ideally, purchase your frozen turkey as far in advance as necessary to safely thaw it in the refrigerator. 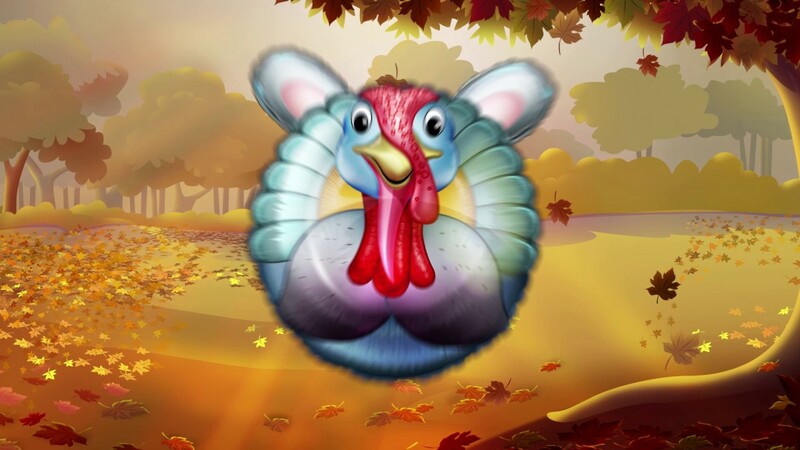 If buying a fresh turkey, purchase it only 1 to 2 days before the meal and keep it refrigerated. Once thawed, remove neck and giblets from the body cavities and keep bird and parts (if using) refrigerated at 40°F or below until it is ready to be cooked. Insert a meat thermometer into the thickest part of the thigh, not touching bone. Cook to a minimum internal temperature of 165°F as measured with a food thermometer. Check the internal temperature in the innermost part of the thigh and wing and the thickest part of the breast. If the turkey is done and the stuffing is not yet 165°F, remove the stuffing from the turkey and place it in a greased casserole dish to continue cooking to temperature. All foods must be cooked to the proper internal temperature as measured with a food thermometer. Remove the stuffing and carve the extra turkey meat from the bones. Within two hours, store leftover turkey in shallow containers and put in the refrigerator or the freezer. Do not leave any extra turkey, stuffing or other leftovers out for more than two hours. When using leftovers, reheat the foods thoroughly to 165°F or until hot and steaming; bring gravy to a boil before serving. Having leftover turkey and other dishes means you can have additional tasty meals the day after your feast. But there are limits on how long you can safely keep leftovers. Temperature and time cause bacteria to grow, which is why it is so important your refrigerator be cold enough and you not keep leftovers too long. Even when refrigerated properly (at 40°F), leftovers should be eaten, frozen or discarded within 3 to 4 days. Enjoy a safe holiday season keeping these tips in mind when preparing food for you and your families.